Earn 44198 loyalty points when you order this item. 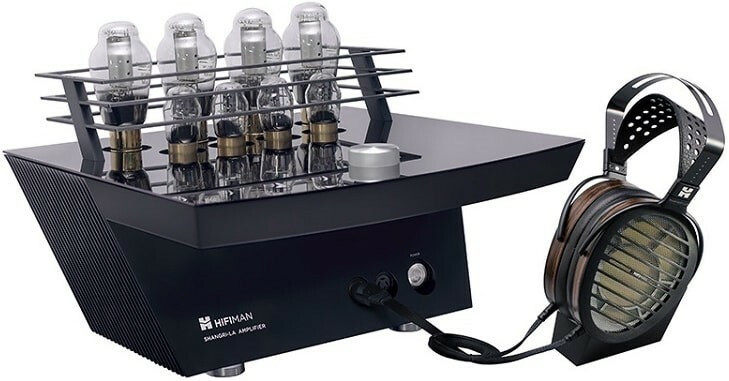 HiFi Man Shangri La Sr Electrostatic Headphones Full System combines the matching flagship Shangri La Sr Electrostatic headphones and valve headphone amplifier. Shangri La Sr Electrostatic Headphones represents an idyllic sonic Eden where music listening reaches skyward and approaches perfection. Specially designed Nanotech driver delivers Lightning-Fast Response with Virtually Zero Distortion. The Electrostatic Headphone amplifier is designed to drive and complement the matching headphones of the same name. Featuring four custom designed, custom made, 300B Tubes as the warm beating heart which pumps the audio lifeblood of the Shangri-La. 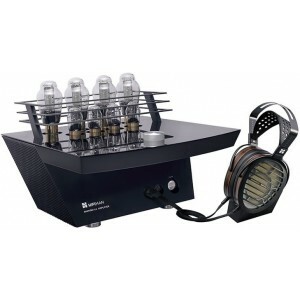 For more info on the amplifier, please visit our main Shangri La Sr Headphone Amp page. For more info on the headphones, please visit our main Shangri La Sr Headphones page.